I want to love this food, but there is one prime reason why I am just undecided about it. 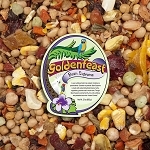 It is extremely hard to tell when the food has been fully picked through because it is all chopped.I can see when my bird has cracked all the little seeds, but as for anything else I feel like I am throwing away good food at times, but I just do not know. My cockatiel has always been a scrambled eggs or tiny seed only bird. She has always outright refused to eat any healthy human food and has never had the beak strength to crack open corn or sunflower seeds... So basically she is a tough cookie in mealtime. When I first got the food it had a VERY strong smell and it was wonderful! Even my cockatiel was instantly drawn to it. She really enjoys all of the small seeds that are easy to crack opened, but at the same time I feel as though she is starving because I do not think she is able to eat the other stuff in the mixture. To help with the problem I give her a thin layer in two separate bowls, and mix it with her supplements. That way I can come home and have a better idea of what she is eating. 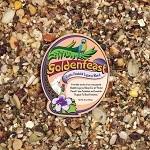 Overall, I think this food is a great option for birds with weak beaks or are picky eaters. Only 4 stars because I am a dope that can't figure out what hasn't been picked at. 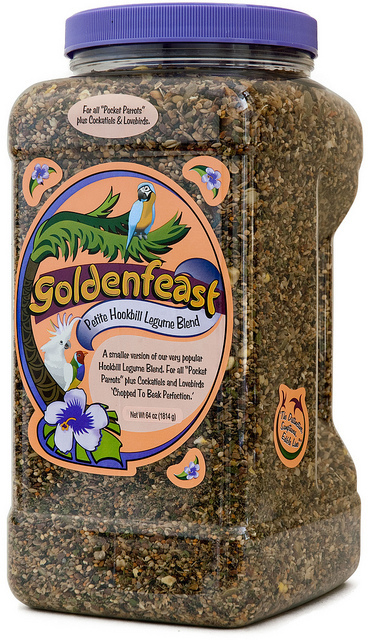 My bird was brought up on this food and it was highly recommended to me, this legume blend, by the bird store owner who has worked with birds for 40 years. 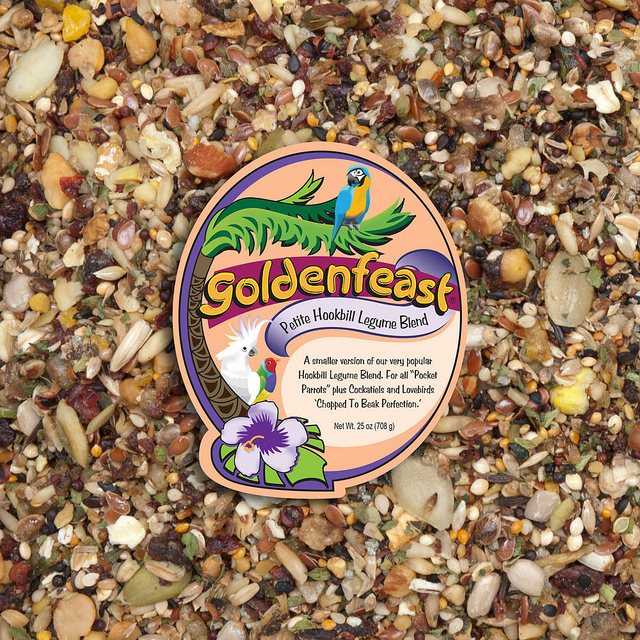 My bird seems to enjoy it and I think it's a very healthy mix. This is a good price for this amount. 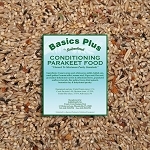 My parrotlets love this food and have been eating it for years. 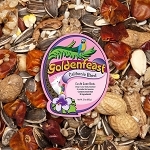 They won't eat anything else, much to our chagrin, so we feel a little better knowing that they are getting superior nutrition from the Godenfeast.